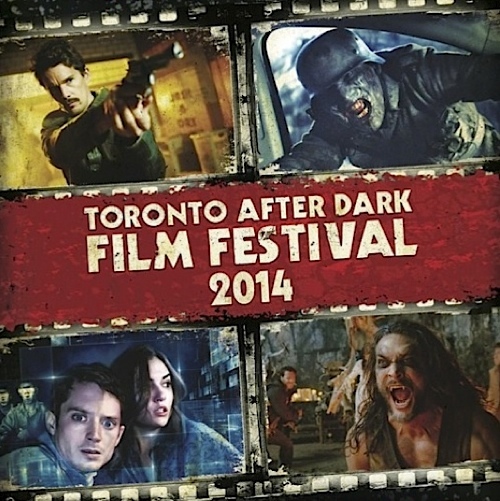 TIFF 2014 has barely begun and I’m already looking ahead to the next incomparable Toronto-based film festival, Toronto After Dark! A few days ago, the first set of films screening at this years festivities were unveiled and needless to say, TAD definitely picked up the slack left by this year’s Midnight Madness programme. You can see the full, 10-film list below with trailers and synopses. I’ll be posting the remainder of films yet to be announced when they’re unleashed at the end of september. From the twisted mind of writer Tony Burgess (PONTYPOOL) comes a stunning, spectacular ode to classic horror and fantasy. In the scary new horror hit from Australia, single mother Amelia must battle with her son Samuel’s fear of a monster lurking in their house. Based on a story by acclaimed sci-fi author Robert A. Heinlein (STARSHIP TROOPERS), the Spierig Brothers (DAYBREAKERS, UNDEAD) direct Ethan Hawke (GATTACA, TRAINING DAY) in this riveting sci-fi thriller in the mold of LOOPER and MINORITY REPORT about a Temporal Agent, tasked with traveling through time to stop crimes before they’re committed. The gruesome army of awakened Nazi Zombies from fan favourite DEAD SNOW once again return to terrorize the Norwegian countryside! In this coming of age werewolf action movie from David Hayter (writer of X-MEN, X-MEN 2), Lucas Till (XMEN: DAYS OF FUTURE PAST) plays Cayden Richards, a high school senior who awakens one day to find his parents brutally murdered and his body transforming into a wild, savage wolf. In the vein of Alfred Hitchcock’s REAR WINDOW comes this gripping cyber-thriller from acclaimed Spanish filmmaker Nacho Vigalondo (TIMECRIMES) that exposes a terrifying dark side to internet voyeurism. From the producers of CABIN FEVER, THE HANGOVER, and AMERICAN PIE comes ZOMBEAVERS, a crowd-pleasing zombie comedy co-starring Cortney Palm (SUSHI GIRL) that delivers exactly what you’d want from its title and more! Richard Bates Jr. follows up his acclaimed horror film EXCISION with a supernatural comedy about an unemployed graduate (CRIMINAL MINDS’ Matthew Gray Gubler) who returns to his small-town family home, only to encounter a vengeful ghost and a mystery that must be solved before everyone’s lives are lost. In this award-winning new sci-fi thriller, three friends, including Danielle Panabaker (THE FLASH) discover a mysterious machine in an abandoned apartment that seems to print photos taken 24 hours into their future. Get ready to gasp, laugh, shriek and cheer at this latest anthology of 26 short tales, each punctuated by a different shocking, wickedly entertaining death. Which film at TAD are you most looking forward to seeing? Be sure to leave your thoughts in the comment section below! A big thank you to TADFF for supplying a majority of the information in this post!